ICCESS delivers simulation-based educational sessions, primarily for Imperial College medical students, but sometimes for other groups too. These sessions often utilise Sequential Simulation to achieve specific learning objectives and help students see the healthcare system from the perspective of patients and their families. 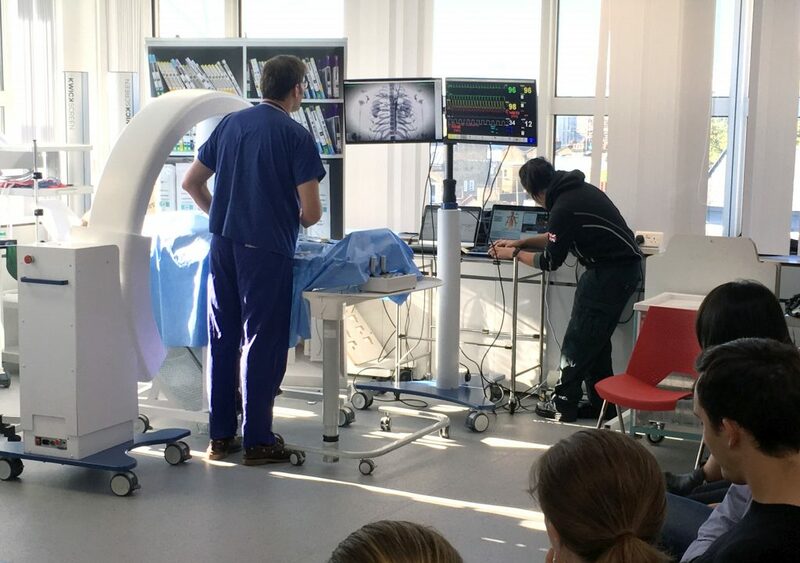 In February 2018 we hosted a Sequential Simulation for a group of Year 5 medical students on Imperial’s Integrated Clinical Apprenticeship programme. The simulation featured a patient, played by an actor, visiting her GP because of constant tiredness and bowel problems. She was referred to a hospital gastrointestinal clinic for a colonoscopy, and the second scene of the simulation featured her being given the results of the scan by the Consultant. In the final scence, the patient was again visiting her GP because things still weren’t right, despite having been taking her prescribed medication. The simulation compressed a patient journey across three medical appointments in 4 months into a scenario that lasted less than 30 minutes. It aimed to teach students about uncertainty in diagnosing illness, the process of clinical reasoning, and what concerns a patient might have during their journey through the healthcare system. These issues, and more, were explored by the students through worksheets completed during the simulation and group discussions immediately afterwards. 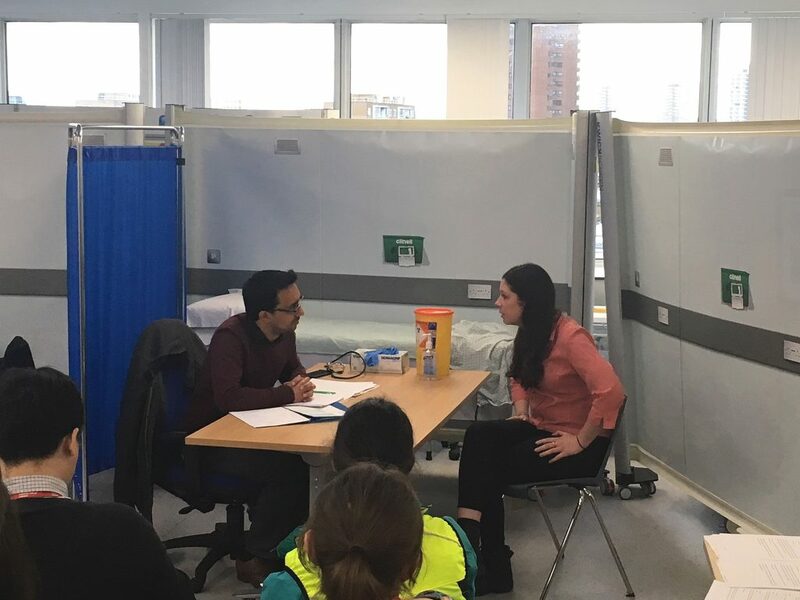 This was the first time the students had experienced Sequential Simulation, and their feedback suggested they found it to be a useful tool for getting an insight into how patients experience the healthcare system. In November 2017 the ICCESS team delivered a Sequential Simulation to an audience of 50 government officials from the UAE undertaking a Diploma in Public Sector Innovation with Imperial College Business School’s Executive Education Centre. The simulation showed a patient’s journey through the healthcare system after suffering a heart attack, with both the patient and her daughter experiencing some less than perfect treatment by healthcare professionals along the way. The workshop encouraged the UAE delegates to draw parallels between the simulation scenario and customer experience in their own government departments and think about how they can find new ways of developing solutions to problems.